A young man of no prospects goes to the big City where, thanks to poor urban planning and non-existent labor rights, he suffers a multitude of bronchial infections brought on by smoke, pollution, fungus and virus. Pip, an orphan of poor prospects, can’t complete his apprenticeship in a blacksmith shop because of an allergy to horseshit. His patron uncle sends him to London to live with the reclusive Miss Havisham who, jilted many years ago on her wedding day, still wears her bridal gown. Her wedding cake, which she’s saved all these years, has turned to mold and infected the entire house. Pip falls in love with Estella, a beautiful young girl with a phlegmy cough. Pip has a nasty reaction to the fungus in the house and develops a bronchial infection whose coughing nearly turns his lungs inside out. Miss Havisham takes an interest in Pip’s future and introduces him to better society. 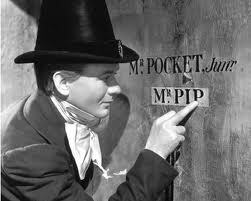 In their company, Pip takes up smoking, which further aggravates his cough. Some of his newfound friends take to calling him “Spit”. When his sister dies of coal cough, a common ailment among residents of poorly-ventilated homes, Pip goes home for her funeral. 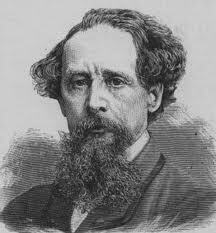 Returning to London, he’s approached by the convict Magwitch whom he’d helped escape from chains many years ago. Magwitch, who’s made a fortune running an opium den in Australia, is back in England seeking medical attention for viral pneumonia, but wants to bequeath part of his fortune to Pip. Soon after, Pip learns that Miss Havisham has been secretly planning to marry his beloved Estella off to a rival suitor, and they quarrel bitterly. 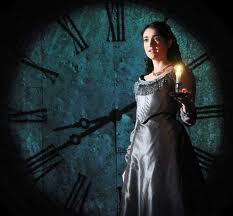 Miss Havisham’s dress catches on fire and Pip is only able to save her by ripping her dress off. 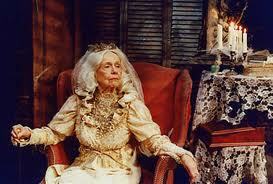 Exposed, Miss Havisham is traumatized and falls into a catatonic state. Magwitch is captured by the police and sentenced to die. While visiting him in his damp prison cell, Pip develops an allergic reaction to moldy rodent droppings, and falls seriously ill. He spends a month in hospital, wracked by violent coughs, filling spittoons with fragments of his ravaged lungs. When he recovers enough to travel, Pip relocates to the dry climate of Cairo for eleven years. When he returns to London a rich man, he finds Estella now a widow with a mild case of whooping cough, and he rekindles their friendship by gifting her with a family-size bottle of expectorant.